If you have Irish heritage or an interest in the distinctive culture of the Emerald Isle, there are lots of wonderful Irish crafts you can make. Crafting is a great way to learn about the way of life of the Irish people, as well as their remarkable history. These projects will help you create something beautiful and uniquely Irish. Ireland is famous for its fine linen fabric. 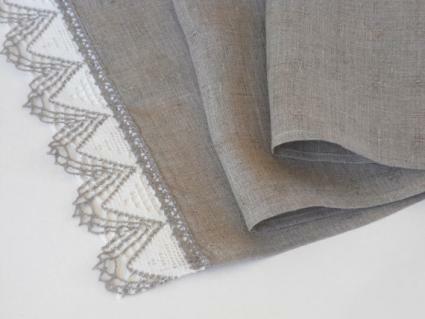 You don't need a lot of sewing experience to make a beautiful Irish linen table runner to decorate your home. You can create this custom-sized table runner in a couple of hours. It also makes a wonderful gift for friends and family with Irish heritage. Begin by deciding on the appropriate length for your table runner. Measure the length of your table and then add about 24 inches for the runner to hang off the table on each end. This is the length of the fabric you will need. Cut a long rectangle in your desired length and 18 inches wide. Cut a second rectangle in exactly the same dimensions. Stack the rectangles with the right sides together, lining up all four sides. Pin all four sides, placing a pin every three inches. Starting at one of the short ends, sew all the way around three sides of the rectangle. Use a half-inch seam allowance and leave one short end open for turning. Turn the runner right side out. Carefully press the linen to crease the seams. Fold in the raw edges on the open end. Pin the open end and use the iron to press it. Sew the open end closed by topstitching a quarter inch from the edge. Topstitch the three remaining sides as well. Sew the lace on the two short ends of the runner, turning over the raw edges of the lace to give the runner a finished look. Connemara marble is a soft green stone found only in Ireland, and it's very popular for Irish jewelry and gifts. 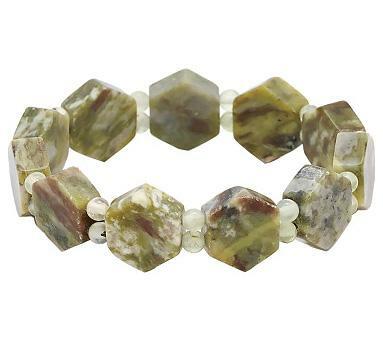 You can purchase loose Connemara marble beads online and combine them with other materials to create a gorgeous bracelet to celebrate Irish culture. Making this bracelet will take you about an hour. Measure the circumference of your wrist and add one inch. This will be the length of your bracelet. Cut a piece of beading wire that is about three inches longer than your desired bracelet length. Use a crimp bead and pliers to attach one part of the clasp to one end. Add a few quartz beads, followed by a large Connemara marble bead. Continue repeating this pattern until you've almost reached your desired bracelet length. Use a crimp bead and pliers to attach the other part of the clasp. Trim any loose ends of beading wire. Your bracelet is done! Weaving and wool production are important crafts in Ireland, especially in County Donegal. 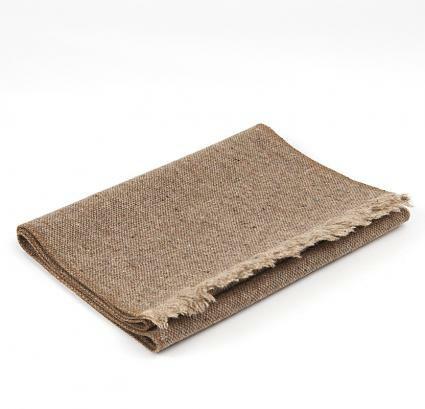 Donegal tweed fabric, with its muted colors inspired by the Irish countryside, is an excellent choice for making a simple no-sew scarf that's both gorgeous and functional. You can purchase authentic Donegal tweed fabric online to make this scarf, which will take about an hour to complete. If there are selvedge edges on the fabric, trim them off with the scissors. Starting at one end of the scarf, use the pin to pick out one of the cross threads. Pull the thread away from the edge of the fabric to begin creating a fringe. Continue pulling threads out until you have a fringe that is about four inches long. Repeat with the other short end. One each long end, pull out a few strings to create a short fringe. For each short end, gather the fringe into small bundles of about eight threads each. Tie a knot in each bundle to secure it. 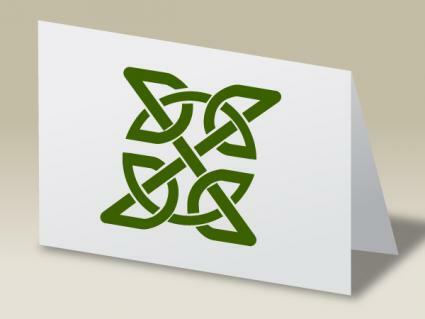 Handmade note cards are a great way to proclaim your love for Ireland when you send notes to friends. A package of several note cards, tied together with a green ribbon, also makes a wonderful gift. Using a stencil allows you to create a gorgeous Celtic knot design in any color. You can make six note cards in about an hour. Place one note card on your work surface, and use removable tape to affix your stencil to the front of it. Pour some stencil paint into a disposable dish and use the pouncer to apply a thin layer of the pain to the front of the card. Carefully remove the stencil without smearing the paint. Wipe off any excess paint on the stencil using a paper towel. Allow the cards to dry thoroughly. If you're still looking for inspiration, try one of these other fun Irish crafts. One of these projects is sure to meet your needs. Using wire, beads, and a few special tools, you can make Celtic jewelry. Learn how to form a Celtic knot and what materials and tools to use to get the best results. Cross stitch is perfect for replicating Celtic knots and other Irish motifs. You can use a Celtic cross stitch design to create a wall hanging, a throw pillow, or another beautiful textile. An important symbol of Ireland, the shamrock is a great motif for a variety of different craft projects. You can decorate linens, paper crafts, and even walls with an Irish shamrock stencil. Or you can use a pattern for an Irish shamrock to make a special quilt or scrapbook page. Crochet is another expressive Irish craft. You can make crochet roses, including the beautiful Irish rose, to decorate everything from hair ornaments to textiles. Irish crafts aren't just for grown-ups. You can celebrate St. Patrick's Day or simply enjoy Irish culture by making a few easy St. Patrick's Day crafts, including treat containers and t-shirts. Whether you're looking for a craft to celebrate St. Patrick's Day or you want to create something really special to honor your Irish heritage or appreciation for Irish culture, there are lots of wonderful craft projects you can try. Make something lovely for your home or yourself or create a gift for a friend. Either way, you'll have a wonderful time making these projects inspired by the Emerald Isle.